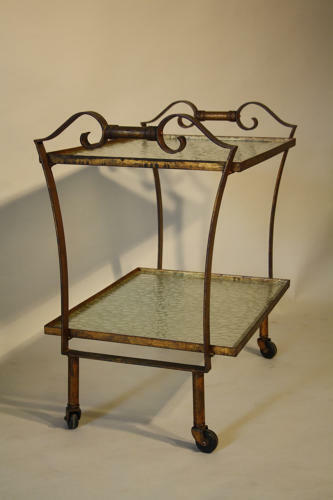 A very interesting and unusual gilt metal and textured glass late Art Deco drinks trolley. Perfect for cocktails! Great original condition. French c1940. Lovely proportions and detail.